We like to hike – and we do it a lot! One of our favorites places to get back to nature in our former home was the State Botanical Gardens in Ringwood, New Jersey. On almost every stroll there I would crane my neck in the hopes of catching a glimpse of the majestic yet elusive Great Blue Herons that would split their time on that property’s two small ponds. This would happen on occasion but the sightings were rare occurring perhaps ten percent of the time we visited there. When we did see these large and colorful birds I considered each and every encounter a lucky one. A Great Blue Heron takes flight at Long Hunter State Park. 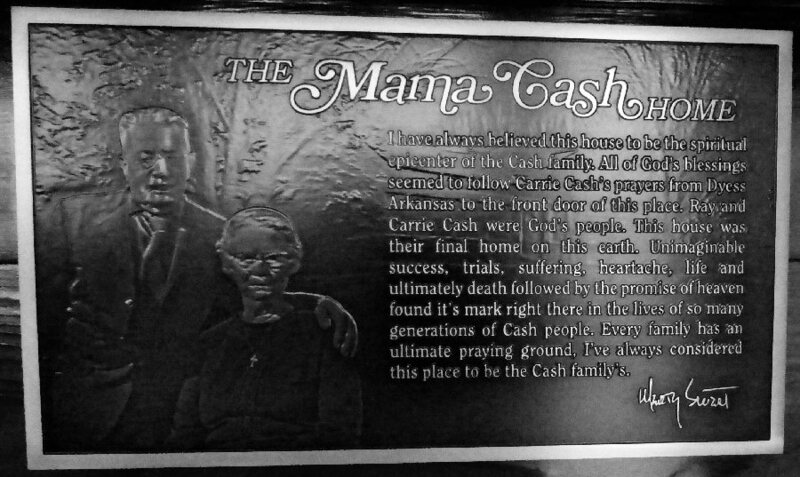 When the time came to leave New Jersey and move to Nashville we found ourselves missing the park. But, that longing for nature was soon alleviated when we discovered the urban oasis of Long Hunter State Park in the Percy Priest Lake region of the state in Hermitage, Tennessee. 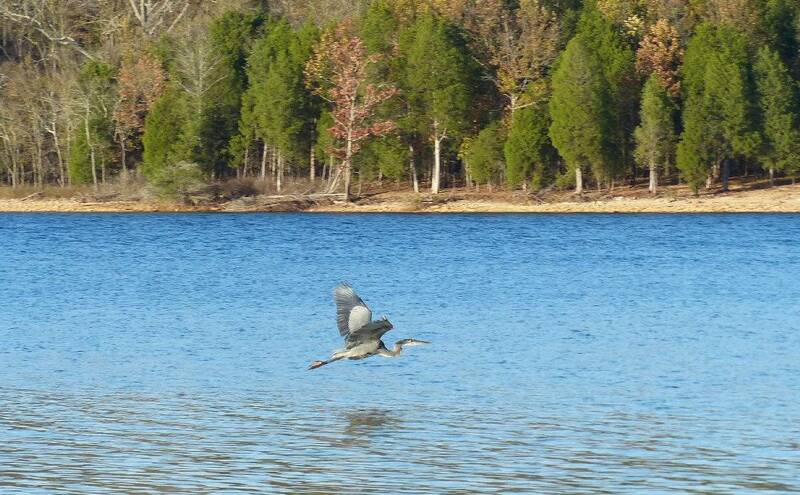 On our first visit there in early October I was amazed that within the first fifteen minutes we observed three of the Great Blue Herons in their natural habitat while walking around the two-mile paved path at Couchville Lake. A visit to the lake almost guarantees a sighting on the shore, in the water, or if you look really intently – resting in the trees. The Great Blue Heron (Ardea herodias) is the largest of all the North American herons. It is a large wading bird from the heron family Ardeidae and the species generally make their home near the shorelines of lakes and in wetlands predominantly in North America and Central America. Apparently, I’m not alone in my belief that these benevolent blue birds are a sign of good fortune. According to the website (www.symbolic-meanings.com) the Iroquois tribe of American Indians looked upon the blue heron as a very good omen. They recognized the heron as a skillful fisher and hunter. They believed that sighting one before a hunt was a very lucky sign. Other cultures praise the bird for its qualities of intelligence and grace. In Egypt a double-headed Heron is symbolic of prosperity. A Chinese symbol picturing the Heron is known to represent strength, purity, patience and long life. If you’re seeking a way to increase your luck and lot in life come visit the abundant number of Great Blue Herons in Hermitage. A great way to do that is by joining the “Friends of Long Hunter State Park” (www.friendsoflonghunter.com) and going on one of the group hikes the Friends group holds. This active and passionate group of volunteers was formed 25 years ago to help protect and improve the park environment for those who use it; and to support the park staff in its preservation and educational efforts. You can join the group and assist in their efforts by becoming a member. There are several levels of support available from the “Tennessee Cone Flower” individual plan all the way up through to the “Blue Heron” membership which includes Two Friends of Long Hunter T-Shirts, a Frameable Certificate, and your name added to the Blue Heron plaque. No matter if you choose to just to visit the park to take in its 26 miles of glorious hiking trails and stellar views of Percy Priest Lake and Couchville Lake or become a member of the Friend’s Group — you’re sure to have a lucky day either way!